I would say that it's completely great for simple things. Accessing your paystubs, looking at your current information, verifying easy changes like address, name changes, etc.. that works great. I would say that Paychex feels limited with it's functionality on the end user side, however it isn't necessarily a bad thing. If you're trying to stay lean and light for a system, I'd highly recommend it. 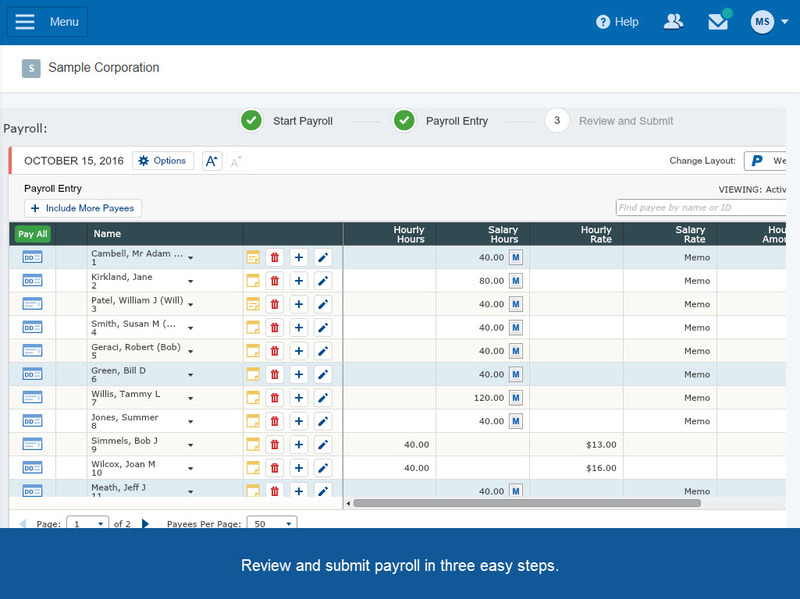 If you need more in depth functionality from a payroll system, it seems like other solutions would be better. No one does payroll better than ADP. They have a long standing history of being a leader. The support team to which we were assigned post-implementation is outstanding. Their customer service skills are off the charts, and their response time is good. It's a good match-up of personalities. Having a cloud-based system takes a lot of load off an IT department as opposed to an on-premise software. With so many priorities and other systems that an IT department has to support, it is nice to call a dedicated response team to help with issues. If there are payroll issues, especially, a fix needs to quickly get in place so that paychecks go out on time. Having a cloud-based system that also has mobile capabilities allows employees to access the system any time and place. When ADP releases updates, it sometimes causes issues with our current setup - mainly in terms of security access profiles. If they add a new feature or update an old one, sometimes those profiles will default to having access, which can cause a problem in terms of segregation of duties. We use paychex.com, which I believe is separate from paychex flex. Wish there was a combined site for both attributes. We use paychex.com to manage our PTO requests. Doesn't provide all paystub history; appears that it only provides the most recent transactions. Would be nice if they had it organized with all previous payments. Better communication with the individual. There are messages that are posted on paychex flex that I would have no idea about if I didn't occasionally sign on. Because it makes the part of my job that includes payroll very easy. It works for me and takes all the stress out of payroll. They also do all the reporting. We have had ADP for over 18 years. Our parent company wanted all their dealers to go onto the Vantage system, it improved all of our processes. There are less human errors and a lot of the information is put in by the employee. So far this product is not what we were looking for in a product. We had one that worked well and worked for us. Being put on a product that is not fully functioning for what we need and being told that it basically is what it is and we need to learn to deal with the new product is not the best customer experience. I am hoping that through enhancements that this product lives up to promise that was made when we were told we were moving to it. 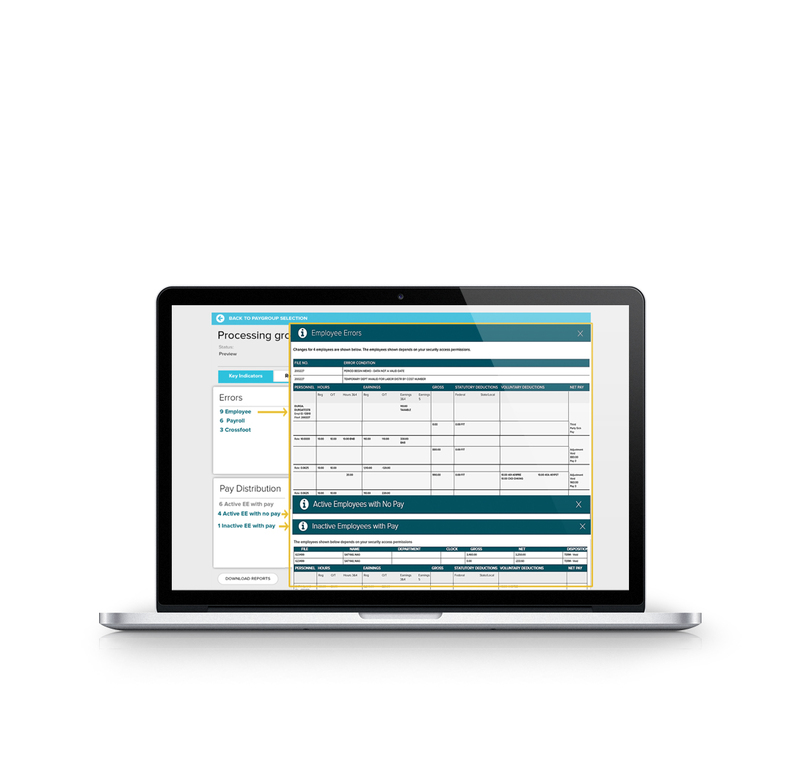 It has helped us streamline our payroll processes.